Description:This photograph was taken from the top of Vicarage Road, at the entrance to Hartshill Park and Nature Reserve. The camera is looking northwards. Inn the foreground is the Diamond Clay Works, manufacturing refractories and kiln furniture. The two towers in the middle distance are the winding towers of Wolstanton Colliery, and the spire to their left belongs to St Margaret's Church in Wolstanton. 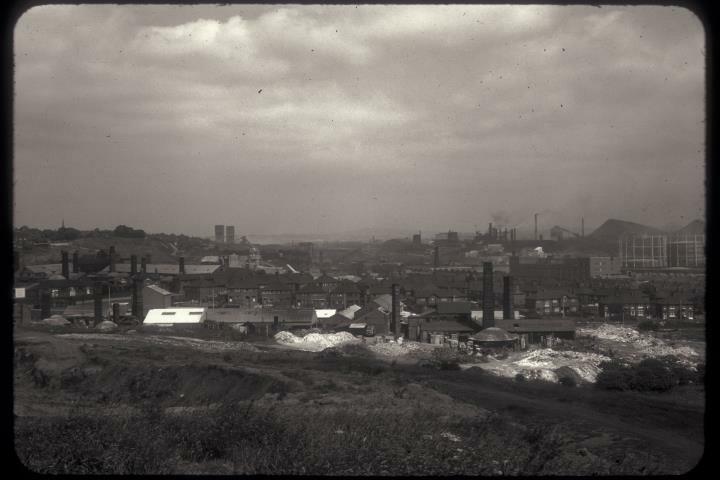 The background to the right is dominated by the furnaces and spoil tips of Shelton Iron and Steel and its collieries. On the right hand edge are two of the gas holders at Etruria gasworks, and just in front the long factory is Twyfords Etruria works. Shelton New Road is marked by the line of houses running across the middle of the photograph. 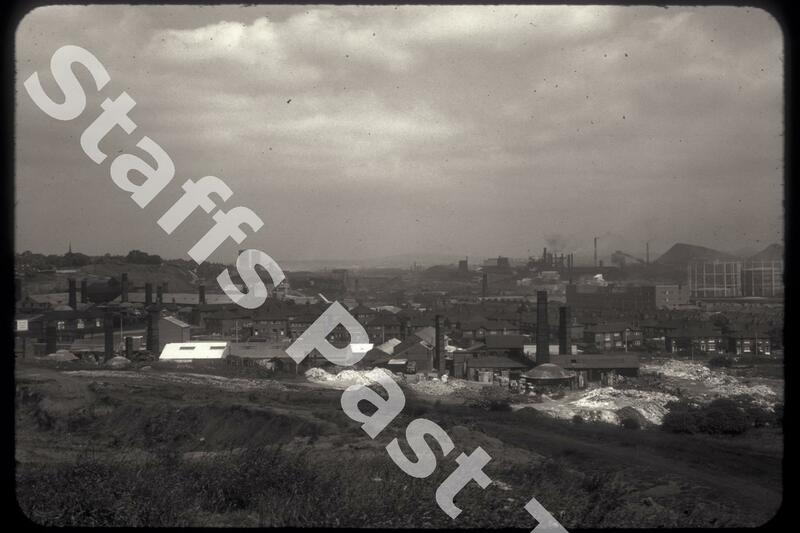 The colliery, steelworks, gasholders and clay works have all disappeared. The Diamond Clay works has been developed for housing, the steelworks site is Festival Park and the colliery is a retail park. The Fowlea valley runs up the centre of the photograph carrying the Trent & Mersey canal and the main railway line. Today the A500 (Queensway) follows the same route.